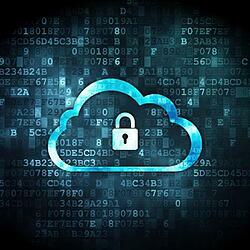 How Valid Are Cloud Computing Security Concerns? With the increased interest in cloud computing in the workplace, many businesses are questioning the potential security concerns that come with this new technology. To be clear, traditional computing technologies also have plenty of network security concerns. Internal IT infrastructure is certainly not 100% secure; but some of the security concerns that affect your company’s internal IT infrastructure can differ from those that face cloud computing applications. The real question to ask yourself is, are there cloud computing security issues preventing your business from moving to the cloud? Not all cloud computing security issues raise the same level of concern in each business. So, how valid are cloud computing security concerns? The chief concern of many companies when migrating to cloud computing is the security and integrity of its data. No doubt one of the main reasons your company is migrating to the cloud is for more efficient and affordable application and infrastructure access. This raises concerns regarding breach of trust, confidentiality and data integrity. It is important to be able to trust that the company managing your cloud accounts is going to abide by the laws governing data and privacy protection. Handing over your data to a cloud management company means you are handing over confidential data and the potential to access it. In so doing, your ability to prevent improper disclosure of information becomes an issue. Ensuring that your cloud provider has written policies regarding data handling, and abides by recognized industry standards is critical. Other major cloud computing security issues include the potential for vulnerability from shared resources, and the need or availability to encrypt your data and communications. The concern that applications from different companies sharing server space may communicate with each other thereby compromising the data of both companies has been raised. Not encrypting the data may increase the risk of storing information on shared resources, and failing to encrypt communications may make it possible for hackers to intercept data transmissions. Companies should not overlook legal issues that arise when migrating to cloud computing. If you are moving to a cloud computing environment, you must remain in compliance with any laws and security regulations – i.e. privacy and confidentiality – that govern your business operations. A quality cloud services provider will address these legal components with you before moving you to a cloud computing infrastructure. So, Should Your Company Worry? Cloud computing concerns are as valid as the security concerns regarding your internal IT infrastructure. There are benefits to migrating to the cloud that should put your mind at ease. First and foremost, cloud service providers are well aware of the security risks inherent with cloud computing. While your business might not have the luxury of affording enterprise level security and monitoring, a cloud service provider does. Quality cloud computing service provider has highly sophisticated security systems in place to protect your data. Additionally, reputable cloud service providers have IT staff on hand whose job is to monitor network and data security. These employees are dedicated to ensuring the integrity of the cloud servers and their data. Request a consultation with a cloud services specialist to discuss cloud computing opportunities for your business, and let us alleviate any security concerns.